I was excited to head out this long weekend and do some shooting. I went out to Carburn park with Duncan (an expert birder) on Saturday and gained some great knowledge however I was certainly not thankful for the weather. Friday saw a beautiful sunrise and sunset however Saturday started grey and rainy. 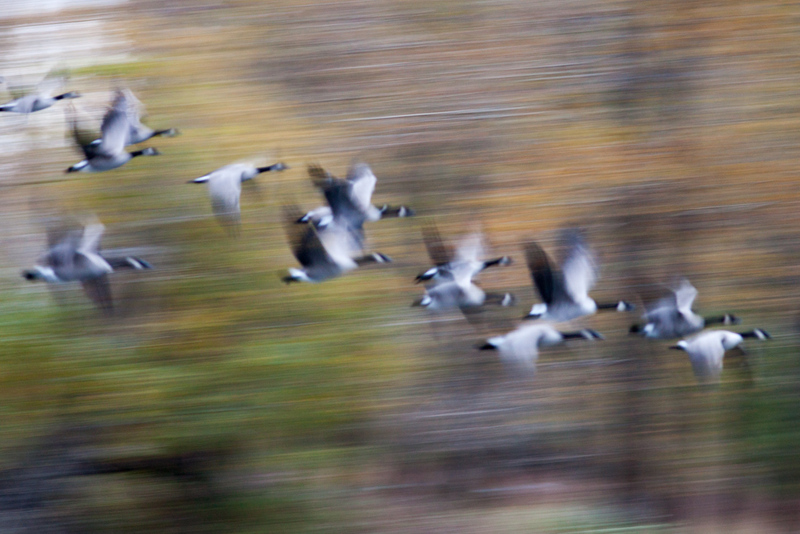 I did come away with one photograph that I liked although not your typical geese in flight shot. 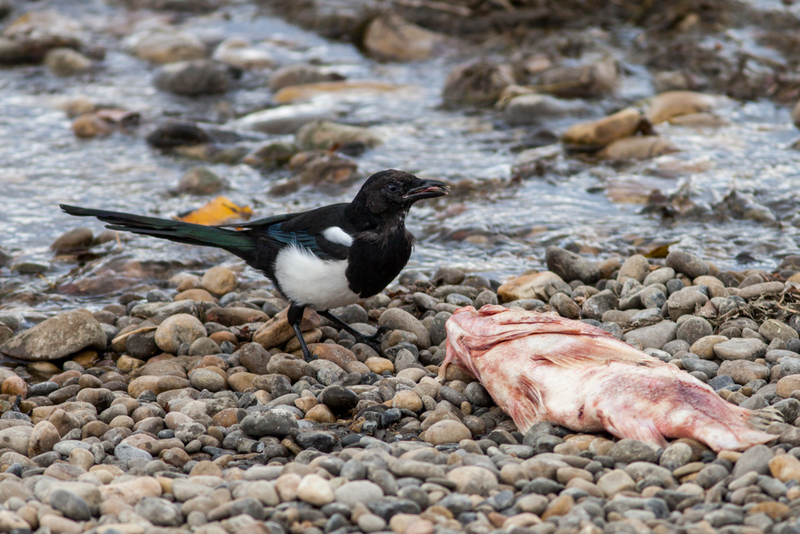 We managed to spy a magpie eating a very strange looking fish. Not sure what kind of fish this is, we thought it looked like more of a sea fish and not a native of the Bow. 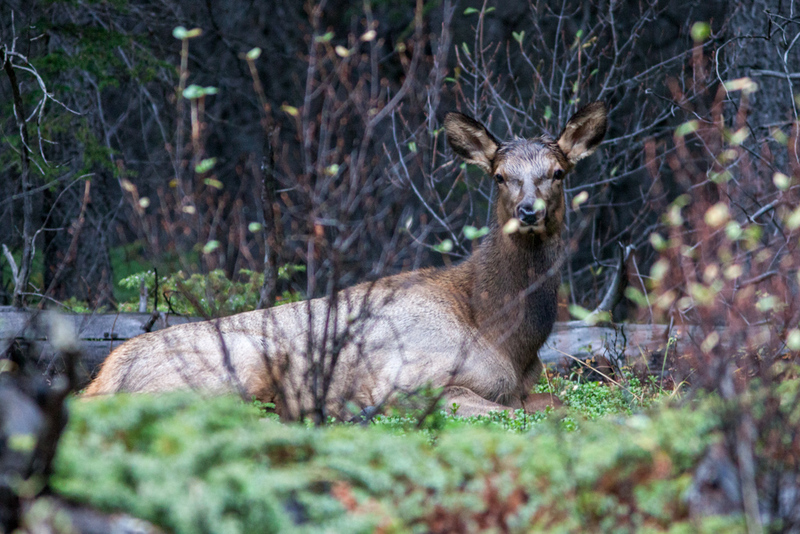 Today I went out near Banff and again the light was minimal and the weather was again rainy. The elk seemed to like it however it was hard to come away with a nice clean shot. I hope you have a happy Thanksgiving weekend, I had a good one. 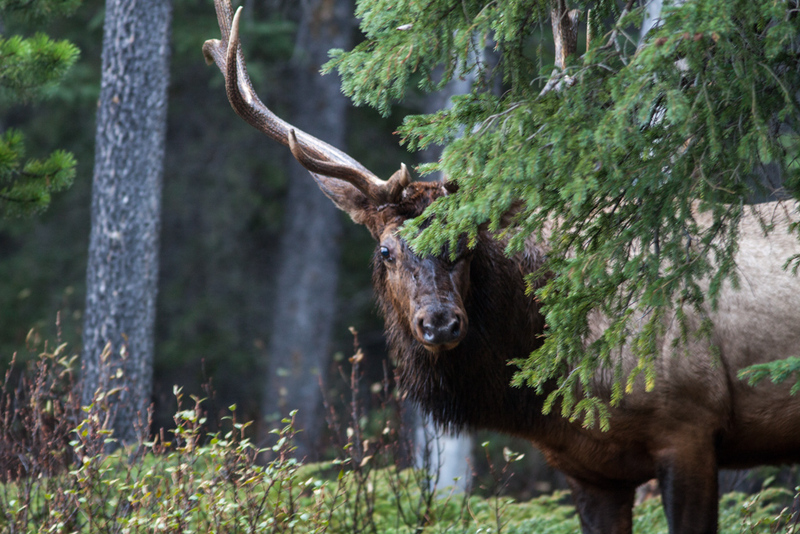 This entry was posted in Banff National Park, Nature, Wildlife and tagged Banff National Park, Canada, canada goose, Carburn Park, Elk, Magpie, Nature, Wilderness, Wildlife.